The C-Class Cabriolet opens a new era of driving enjoyment and sporty elegance. Its convertible top is woven not just from rich fabric but a legacy of innovation, athleticism and craftsmanship that never goes out of style, or out of season. 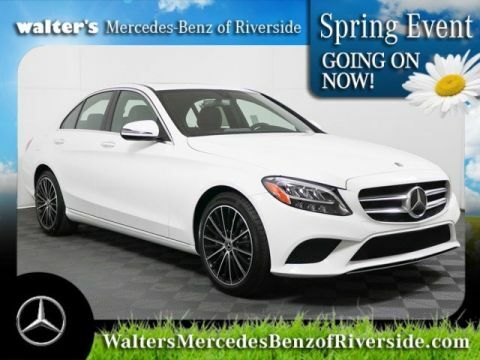 Big, beautiful wheels and grippy staggered-width tires make cornering a breeze in the C-Class. The standard 18-inch alloys are offered in two designs. Three 19-inch options include AMG(R) wheels in two distinctive styles. Open-air style brings out the muscular lines and seductive cabin of the C-Class. In under 20 seconds, one button summons the 3-layer acoustic soft top from elegantly covered well, to envelop you in quiet, coupelike comfort. The C 300's 241-hp turbo-4 and 9-speed automatic fuse exuberance with efficiency. Millisecond-quick Direct Injection and multispark ignition can fine-tune on the go. And with 0 to 60 mph in just 6.3 seconds, it surely goes. The C-Class Cabriolet is engineered from road to sky not just as a convertible but as a Mercedes-Benz. So the taut muscle of its body comes to life in its precise handling, tight feel and confidence-inspiring sensation of solidity. DYNAMIC SELECT lets you dial in the car's performance character, from sharpened Sport mode to easygoing ECO. There's even a mode you can set up as you like. Available AIRMATIC suspension has multiple modes, too, plus 4-wheel level control. The road hugging style of the C-Class Cabriolet is no illusion. Its standard 18-inch wheels and 4-wheel multilink suspension cling to the pavement yet smooth the ride. An optional sport suspension handles even more enthusiastically. 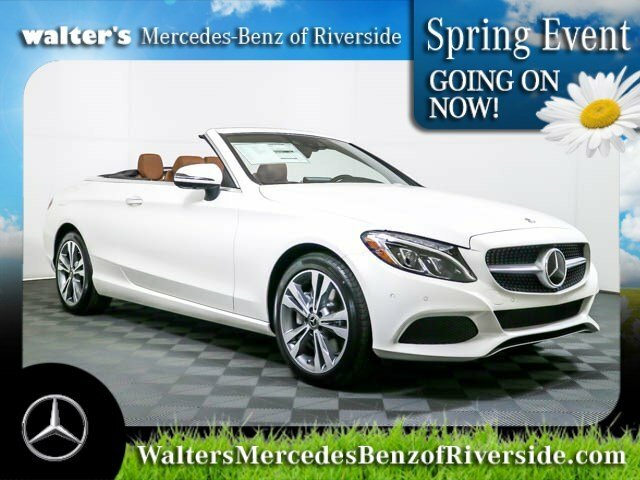 The all-wheel-drive C 300 4MATIC is a true 4-season convertible. On slippery roads, it expertly turns torque into grip at each wheel. In dry corners, it adds fun. And it's light, agile and efficient, for year-round enjoyment. C-Class innovations reach for all your senses. Its controls respond to your touch or voice. Displays reward your glance. Its advanced technology serves you the world, satisfies your sense of well-being and can even shift the change of seasons. Innovations harnesses the air to make a top-down motoring more enjoyable. AIRSCARF wraps your shoulders in warm air, turning a chilly evening into a deamy drive. Aavailble AIRCAP quells buffeting for a tranquil, quiet ride. 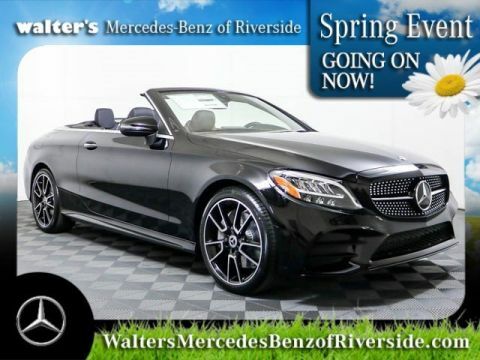 Even the climate control adapts when you put the top down, without needing a single adjustment. C-Class safety can show you the future. Radar helps spot hazards in your path. 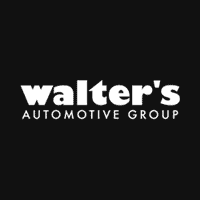 A team of standard and optional systems can monitor all around you, alert you, help you brake and even respond autonomously to help reduce collisions. 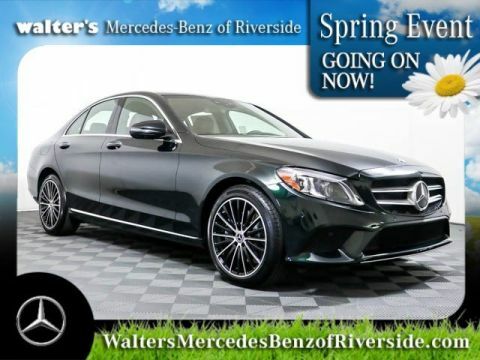 Meet your new 2018 Mercedes-Benz C 300 4MATIC Cabriolet today at Walter's Mercedes-Benz of Riverside located at 3213 Adams St. Riverside, CA 92504.